The city of Tel Aviv inaugurated the first section on Sunday of a new 110 km (68 miles) network of bicycle trails in a bid to transform the area into the Middle East’s “Amsterdam,” a nod to the uber bike-friendly Dutch capital where nearly all streets also have cycle facilities. The network will link cyclists from the surrounding cities of Holon, Bat Yam, Ramat Gan and Bnei Brak to Tel Aviv, “in a way that will ease traffic congestion and allow the public to commute by bicycle on safe paths,” according to press material made available before the event. The ribbon-cutting ceremony took place on the new trail departing from Yarkon Park and was led by Tel Aviv Mayor Ron Huldai and Canadian-Israeli billionaire and philanthropist Sylvan Adams, who is helping finance the project. Adams also played a major role in building the Middle East’s first indoor velodrome cycling racetrack in the city and bringing the Giro d’Italia, one of cycling’s three grand tours, to Israel this past spring. The new trail, called the Sylvan Adams Bicycle Trail, will run from the park to Ramat Hahayal’s thriving hi-tech and business center. 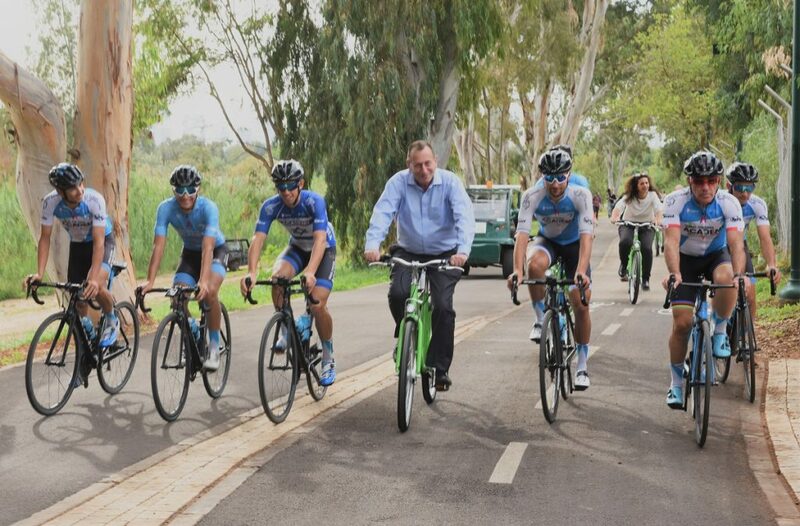 As part of the inauguration, Huldai and Adams cycled the new route along with cyclists from the Israel Cycling Academy, who represented Israel in the Giro d’Italia in May. The new route is the opening section of a much broader program over the next five years to build a 110-kilometer network of bicycle trails as part of a shared vision by Huldai and Adams to turn Tel Aviv into a center for sustainable transportation and a cycling haven. This network will be added to the existing 140 kilometers of bicycle trails currently running throughout Tel Aviv-jaffa. The Sylvan Adams Bicycle Trail spans 3.5 kilometers and took about a year to build, at a total cost of around $2 million (NIS 7 million), raised courtesy of the CEO of KKL-JNF Canada, KKL-JNF World Chairman Daniel Atar, and Adams himself. “Sylvan Adams is a leader who knows the path forward, walks on it, and shows us the way, so thank you,” he added. The Dutch capital, he said, set a goal for itself in the 1950s to turn into a bicycling capital, and should Tel Aviv have that same vision, it can make it a reality, he added. Adams is a masters track cycling world champion who moved to Israel from Canada in 2015 and has been on a mission to improve Israel’s image through sports and raising awareness about cycling. He and Huldai previously partnered for the indoor velodrome cycling racetrack, which the mayor hopes will become a place to host global races. Indeed, Tel Aviv has become synonymous with cyclists. There are bike paths along the city’s tree-lined boulevards, on most major roads and a fantastic bike path along the seafront. Like elsewhere in the world, Tel Aviv has a bike-share program with some 2,000 bikes for hire around the city, along with other shared mobility platforms. 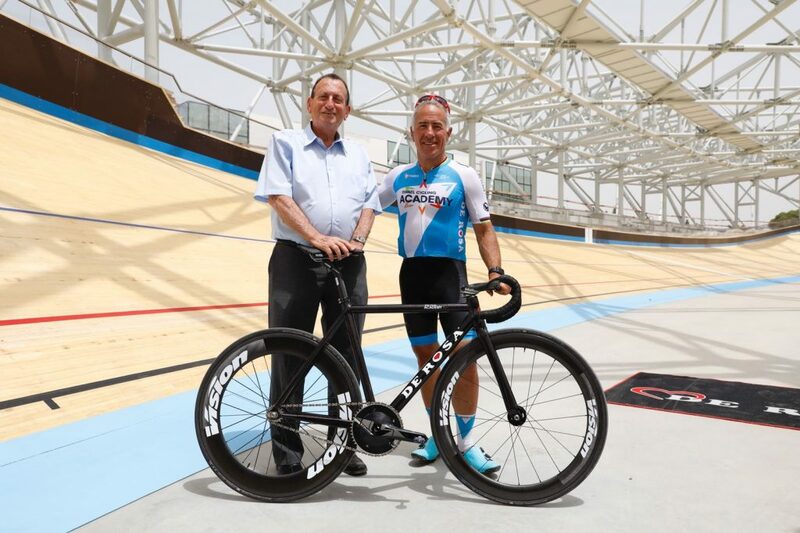 The Tel Aviv municipality invested some $20 million (NIS 70 million) in the velodrome project. The arena seats 620 people, and the adjacent building includes doctors’ offices, drug test labs, cycling stores, a cafeteria, and dressing rooms. 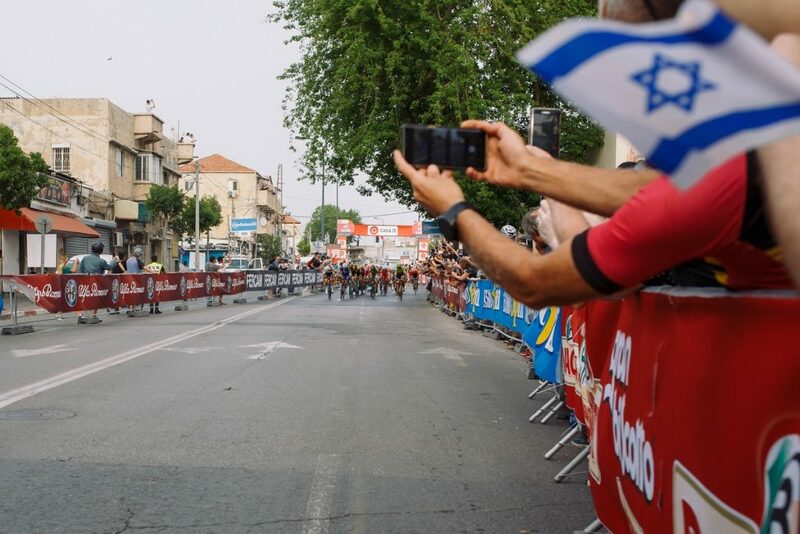 Adams was also in great part responsible for the Giro d’Italia’s decision to start in Jerusalem on May 4, swing through Tel Aviv a few days later, and end in Rome on May 21. The theme of goodwill and inclusion through sport is a strong component for Adams. Last week, Adams launched the Sylvan Adams Sports Center of the Jerusalem International YMCA which is set to serve people from all parts of the city – from the predominantly Arab East Jerusalem, as well as west Jerusalem. 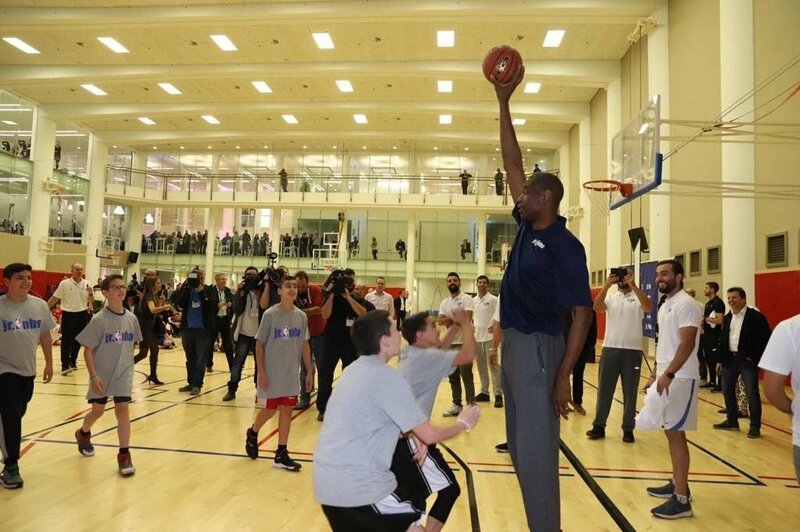 The opening ceremony featured special guest NBA Global Ambassador and Naismith Memorial Basketball Hall of Famer Dikembe Mutombo, who joined youth and coaches from the new Jr. NBA Jerusalem International YMCA League to tip-off the league’s draft and hosted a Jr. NBA youth basketball clinic, according to a press statement of the event. The Jr. NBA Jerusalem International YMCA League brings together 450 youth, ages 11-13 from Christian, Jewish, Muslim and other communities in an after-school basketball league, which will see them compete on 30 teams each representing an NBA team. The program includes basketball instruction, competitive play, and life skills programming focused on cultural understanding, team-building and leadership. SEE ALSO: Tel Aviv Joins C40 Climate Leadership Group – But How Green Is The City? The 100,000 square-foot complex offers world-class sports facilities with a half-Olympic size swimming pool, gym, basketball court, multi-purpose exercise rooms, a rooftop garden plaza. It includes three underground floors. Last month, Adams announced a $5 million contribution to Israeli startup SpaceIL, which is set to launch Israel’s first spacecraft to the moon early next year. If successful, SpaceIL’s venture will see Israel become the fourth country — after the US, Russia, and China — to complete a controlled lunar landing. Viva Sarah Press contributed to this report.